Matt Pace began his career on the docks of Table Rock Lake. He was working his way through the College of the Ozarks, and he took a summer job as a dock hand at the marina at Big Cedar Lodge in 1998. He never left, and now he is the assistant director of operations, overseeing hotel operations, marina, and activities workers at the 300-acre resort. 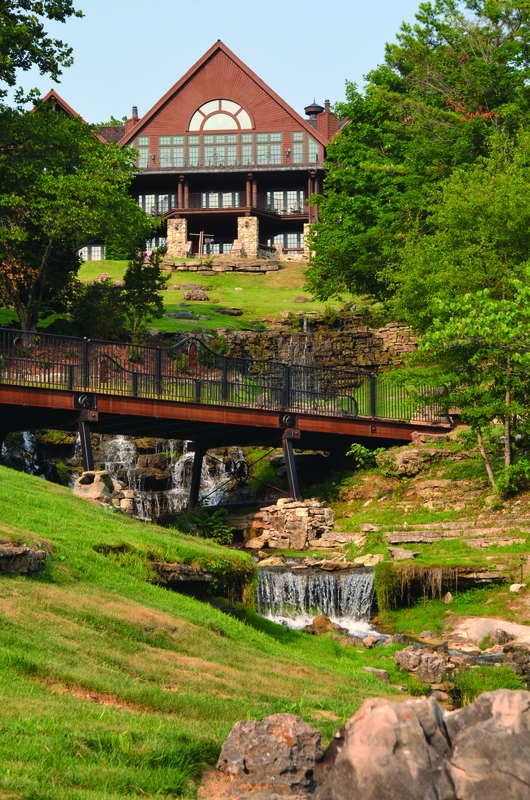 In a hospitality industry that saw a 62.5 percent turnover rate in employees in 2013, according to the US Bureau of Labor Statistics, Big Cedar Lodge has more than beat the odds. “We have an 8 to 9 percent turnover rate,” says Bryson Allen, who joined Big Cedar from a ski resort in Park City, Utah, earlier this year. 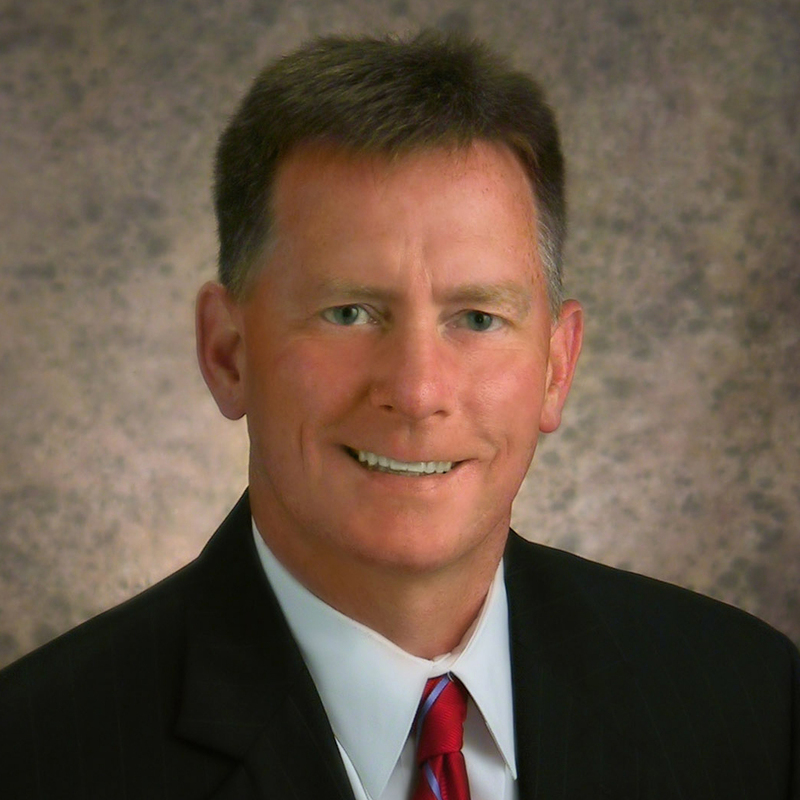 A quarter of the 800-person workforce has been at Big Cedar for more than five years, and eight of the 11 top executives were promoted from within. General Manager Debbie Bennett is a shining example; sheís been with Big Cedar since it opened its doors in 1988. Some of the success is because of a careful hiring process. Pace looks for outgoing personalities, even among groundskeepers. The staff that comes to Big Cedar just finds it tough to leave the lush, wooded resort, where streams cross steeply rolling hills, but itís a great place to work regardless. Public Relations Associate Sydney Friar kept working for Big Cedar by telecommuting after she moved to Oklahoma City in October. And that owner would be the legendary John L. Morris, founder of the Bass Pro Sporting Goods empire. It seems everyone at Big Cedar resort has a story about the 66-year-old Morris, who is a frequent face around the picturesque resort near Branson. One employee remembers him climbing the scaffolding to make sure the view of Table Rock Lake from the new spa complex was right. Others even see his touch in the “bear paw” sand traps that dot the new Jack Nicklaus-designed “Top of the Rock” nine-hole championship golf course. Morris is in every sign that dots the luxury resort tucked away in the Ozarks. It was Morris who insisted on the hand-painted homey signs that feature fish, and it was also he that directed roads within the resort to be winding and crossing streams to make a point about its country atmosphere. In fact, Morris has often wielded the paintbrush himself to create those homemade signs, many of which dot what will be the new entrance to the resort. To complement the founder, Pace’s operations crew has gotten pretty good at mimicking Morrisís painting style. And all of the associates feel especially proud to have been a part of another Morris initiative. 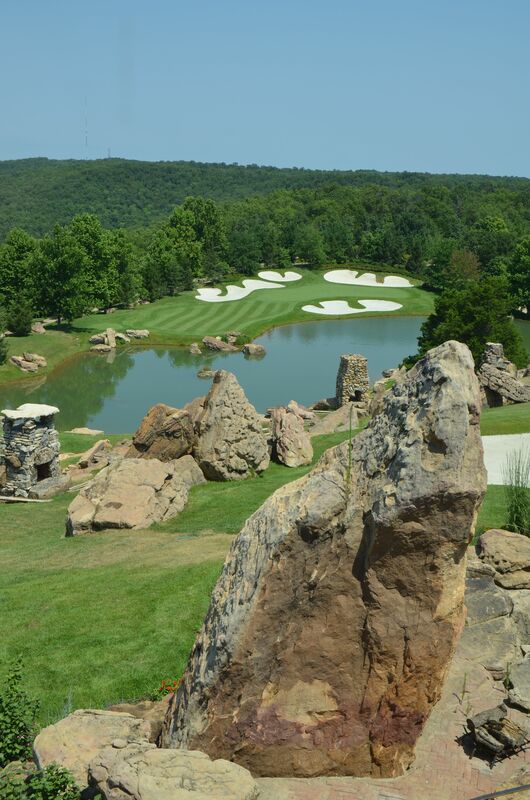 This past June, the inaugural Bass Pro Shops Legends was held at Top of the Rock; it is the first ever Par 3 course to be included in a professional championship. The staff had just 90 days to prepare to host Jack Nicklaus, Gary Player, and a number of golf legends as they descended upon the new course. The Top of the Rock complex is part of an expansion and includes the top-notch Osage restaurant, the Buffalo Bar, the End of the Trail All-American Wine Cellar, and the Ancient Ozarks Natural History Museum. Arnie’s Barn is a 150-year-old barn that was dismantled and moved from legendary golfer Arnold Palmer’s hometown of Latrobe, Pennsylvania, and reconstructed at Top of the Rock to serve as a second restaurant and Golf Shop. The expansion added more than 120 new workers to the Big Cedar payroll. The tournament was a highlight for shuttle driver Bill Richardson, who moved to Branson in 2007 after taking early retirement from a retail job in California. “We had guests from all over the world,” he says. 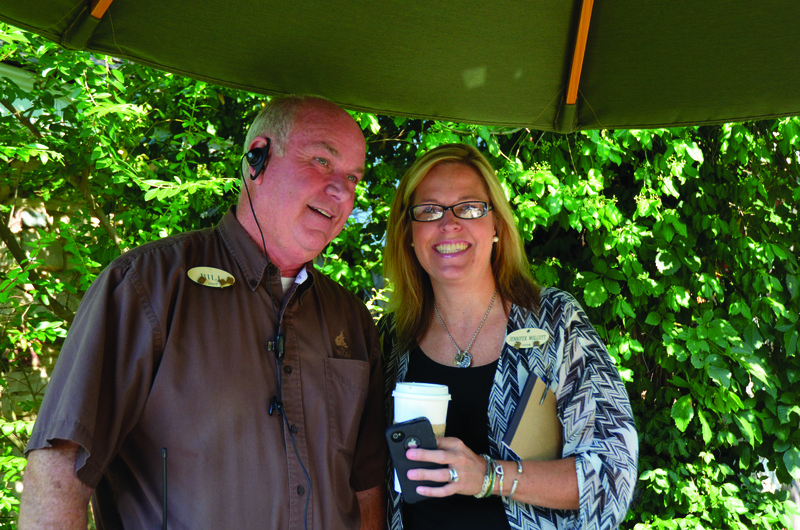 Alletha Fry, who’s been in guest services at Big Cedar since 2005, isn’t ready to retire. You’ll find her at her station in the main lobby, pleasing guests by setting up dinner reservations or having an extra pillow sent to a room. Every day, she proudly wears her service pin that signifies her nine great years. “Every day is just as exciting as the first day,” she says. Her favorite part? It’s when a parent calls her line to ask what to do about a sick child. Big Cedar has an answer: a wellness basket thatís delivered directly to the family’s cabin or room. The basket has soup and other comfort items, including a teddy bear. But Big Cedar does face challenges. Like all Branson-Springfield area resorts, the summer is a heavy season, and there arenít enough local workers to fill seasonal jobs cleaning rooms and changing beds. So, Gina Dixon, assistant director of human resources, says Big Cedar uses the federal H-2B worker visa program to import staff from Jamaica, where summer is a slower season. The workers live on site, and most come back year after year, says Dixon. It seems Big Cedarís brand of Ozarks-style hospitality might just be for everyone. Have heard stories of how the workers(mgmt.) use cabins and rooms for sexual excursions during work hours… Thinking it would be a pleasurable place to be employed..